Amerian Salta Hotel is a 4-star hotel in Salta, located in the center of Salta, 5 blocks away from the main square and just some minutes away from the main tourist attractions of the city. It is located only 20 minutes from the airport and 5 minutes from the bus station where you can take the famous Train to the Clouds. Amerian Salta Hotel has 56 rooms in categories Standard, Superior, Junior Suite and Suite Amerian. Facilities include a restaurant, meeting rooms, business center and spa. Spa Amerian Salta, has a swimming pool on the terrace of hotel, ideal for relaxing after a busy day and enjoy an unsurpassed view of the city and the Cerro San Bernardo. Facilities include a gym and massage cabinet. Amerian Salta Hotel is the hotel in Salta to enjoy an excellent stay. 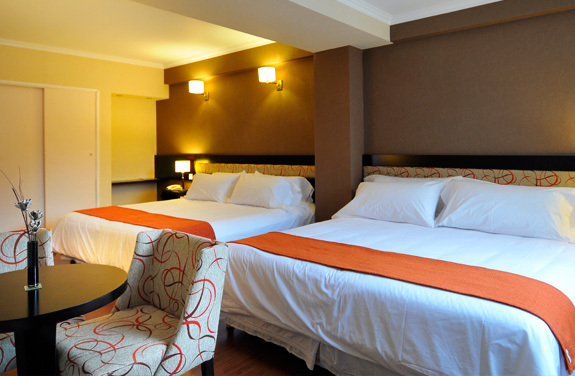 Standard double rooms are designed to provide the comfort for passengers traveling for business or pleasure. Desks, a comfortable double divan overlooking the renovated city park. They are warmly decorated and include LCD TV and WI FI internet connection. 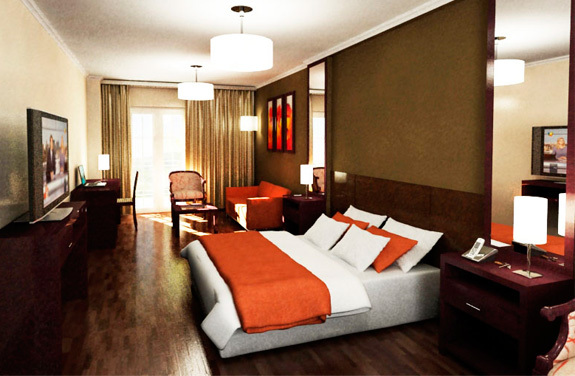 Superior rooms are designed to provide more comfort and space for passengers traveling for business or pleasure. They feature a comfortable space with a desk, comfortable beds and divan. These rooms are warmly decorated and include LCD TV and WI FI internet connection. The Junior Suites are located on the higher floors of the hotel. They were designed to provide greater comfort and a distinguished comfort. The decor and atmosphere is made of exclusive details. It has a great balcony to enjoy a panoramic view of the city of Salta. These rooms offer 35 sqm, king size bed, with bath tub, a comfortable living room with sofa bed, a desk, an LCD TV and WI FI internet connection. Amerian Suite is the room upgrade. Located on the top floor of the hotel has an intimacy and decorated with designer furnishings and incomparable views of the city of Salta. It has the optimal size for a unique break. Their living and desk area offer all the necessary amenities for business meetings or pleasure. It has a king size bed, with bath tub and has LCD TV and WI FI internet connection.